The Rev. Canon Lloyd S. Casson is Rector Emeritus of Saints Andrew and Matthew, having served as its first rector. He was honored by the community and his parish when he officially retired on June 3, 2007, after 43 years of ministry in the Episcopal Church. 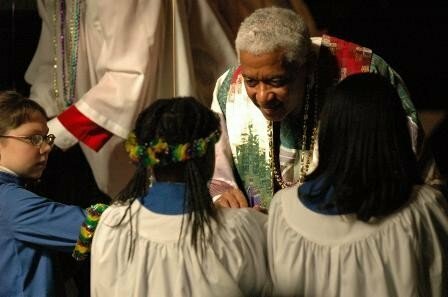 A native Delawarean, Canon Casson served for ten years as the rector of the Episcopal Church of Saints Andrew and Matthew, a unique parish formed out of the union of two historic Episcopal churches in Wilmington, one with a predominantly white membership and the other predominantly black. As the chief pastor, Canon Casson provided spiritual and administrative leadership to this new congregation, which continues to be an instrument of reconciliation and diversity. Canon Casson has also been involved in community affairs and world issues. He works with Pacem in Terris and Stand Up for What’s Right and Just (SURJ) in the Wilmington area on issues of peace and justice, and criminal justice reform. He is a board member of the Brandywine Pastoral Institute. In 2011, he became president of the school board of Reach Academy for Girls, a charter school in Delaware. 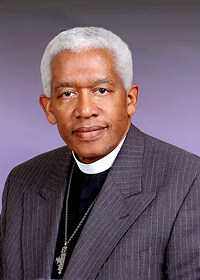 Canon Casson has been and continues to be active in the Episcopal Diocese of Delaware, the Episcopal Church of the United States, and in national and international affairs. In his work, Canon Casson traveled extensively throughout Europe, Africa, India, the Caribbean, Central and South America. Most recently, he participated in an international conference on global poverty and HIV/AIDS in Blocksburg, South Africa, involving 400 representatives from churches of the worldwide Anglican Communion. Canon Casson began his long pastoral career as the Associate Rector of St. Andrew’s Episcopal Church and as the Rector of St. Matthew’s Church, both in Wilmington. Also during this period in the late 1960s and early 1970s, his community activities included serving as president of the Wilmington Board of Education. He has also served at several parishes in New York City, as Canon Missioner at the Washington National Cathedral, and as the Social Justice Officer for the Episcopal Church Center in New York. In the above video, the Delaware Historical Society interviews Canon Casson about his life in Wilmington. Many vintage photographs illustrate this 40-minute biography. In the above videos, the Rev. Canon Lloyd S. Casson remembers growing up in Wilmington, Delaware, serving as a priest in two downtown churches, and serving as president of the school board. Recorded by Danny N. Schweers on October 30, 2010, at the Service of Repentance for Slavery in the Episcopal Diocese of Delaware. 4/26/2015 Good Shepherd Sunday sermon by the Rev. Canon Lloyd S. Casson. Sheep smell, but even the most terrible-smelling sheep knows its master’s voice and the good shepherd knows that sheep and calls it by name. Each of us needs to be known and loved. God knows us, even our sighs and groans. 4/4/2015 Easter Vigil sermon by the Rev. Canon Lloyd S. Casson, followed by the Cathedral Choir School of Delaware singing “This Joyful Eastertide”. This is the night in which the light is re-lit, the night the stone is rolled away, the tomb emptied. Hope returns, faith is renewed. The prophecies are fulfilled and understood. 11/23/2014 Season of Creation Sermon: “Christ the King Sunday” by the Rev. Canon Lloyd S. Casson. Let us stand in awe before the unfathomable magnificent mystery of creation. Let us read again James Weldon Johnson’s poem, “The Creation”. Let us hear what the Vietnamese Buddhist poet Thích Nhất Hạnh says about the Eucharist. 11/24/2013 Season of Creation Sermon: “Christ the King Sunday” by the Rev. Canon Lloyd S. Casson. Through Christ, God was pleased to reconcile to himself all things on earth and in heaven by making peace through the blood of His cross. Joint sermon of 9/25/2011 by the Rev. David Andrews and Canon Casson. On the 15th anniversary of the consolidation of two churches — St. Andrew’s and St. Matthew’s — SsAM’s first two rectors remember the past and look forward eagerly.